Current IssuesAn insight on Fox Hunting. If you live in the UK, I’m sure you will be aware that it has been suggested that the fox hunting ban may be lifted. This has sparked lots of debate all over social media, which I often find myself struggling not to get involved in. As I have mentioned in a previous post (Fox Hunting: What side are you on?) I am not pro hunting, but I am more pro than against. But back to the social media debates. My real problem with many people on the anti hunting side, have no idea what life is like in the country. One person said to me recently that we should leave foxes to their natural environment of “eating out of bins.” Sorry, but people who obviously have no clue really get to me. 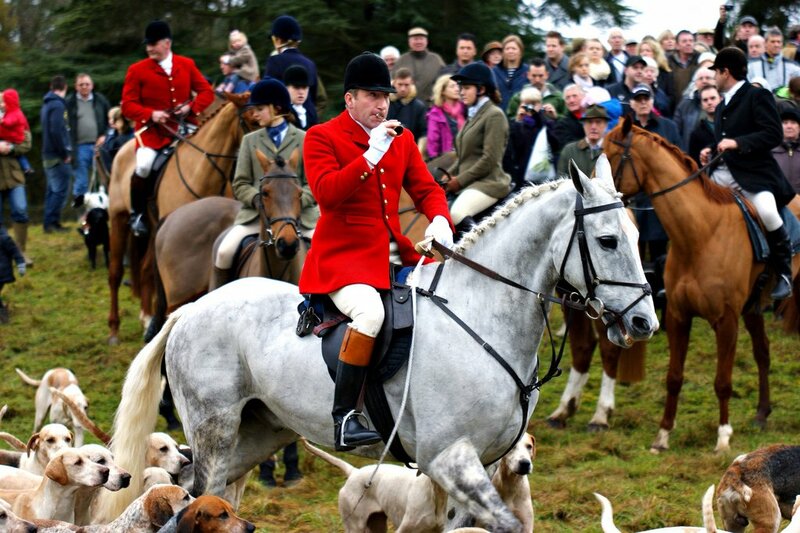 Other people have said to me, that they aren’t against hunting as such, just that they don’t like the idea of it being lots of posh people riding around. Which is such an old stereotype and really not true anymore! I also feel it is important to point out, that the majority of people taking part in a hunt don’t enjoy the idea of killing a fox, just the experience and the thrill of the chase if they come across one. I stumbled across this article in the telegraph recently, which I feel is a very honest view of hunting from a rider and worth a read whatever you think about fox hunting. It just seems with any welfare issue, the public knows all the bad bits, but none of the real life behind it. So I wanted this post to explain why people feel there is a need for it and how the current alternatives are potentially worse from a welfare point of view. Don’t get me wrong, I have never been hunting, so it could be argued that I don’t know enough about what I’m talking about. However, I live in the country, with lots of friends who are farmers and or go hunting and I have lost animals to foxes. So I am writing this as my idea of country life involving fox hunting. Although foxes look extremely cute, they are not wild dogs. They attack and kill live stock (poultry and lambs). They do not kill because they are hungry and they will not just kill the one, they will kill everything they can. Because of this they cost farmers money. I have seen many stupid suggestions from anti hunting people about how they can protect the animals from foxes. But basically, the only way to do this is lock them away in a building all day and night so foxes can’t get to them. If the farmers did this, people would be calling it abuse. Therefore, the farmers best option is to kill foxes to prevent them getting to his animals. There are several ways this could be done. The farmer could lay traps or poison. These would cause a slow and very painful death and they could kill other animals other than foxes. A popular method often suggested by anti hunters, is shooting them. This in theory, is the best method. However, foxes are crafty animals and this makes it hard for even a good marksman to get a good shot. Therefore the fox may be crippled rather than killed and will most likely die of bloodloss, infection or hunger. 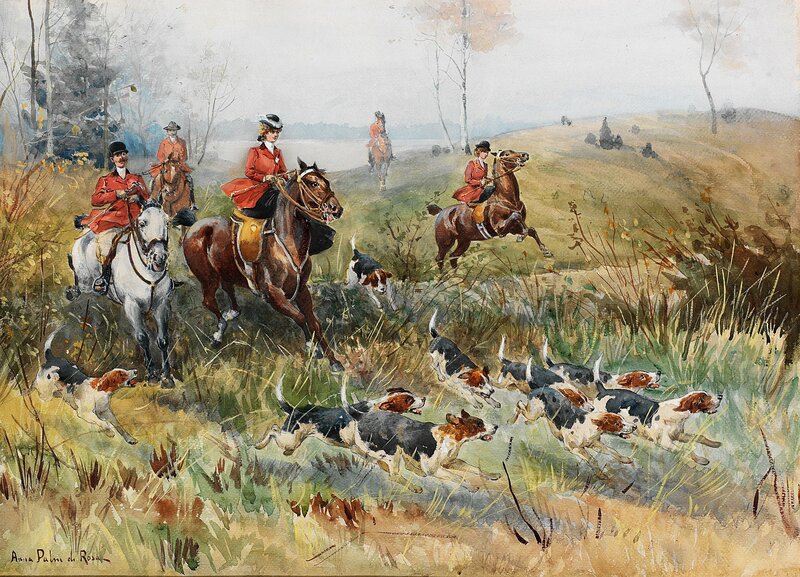 Then there is hunting with horses and hounds. I know people who have been hunting for decades and never seen a kill. Which shows how often they do get away. And if they don’t get away, as violent as the death is, at least it is very quick, unlike other methods. My overall opinion is, farmers will try and kill any fox they see. At least with horses and hounds its a quick death. And if they get away, hopefully the chase was enough to scare the fox away from the livestock for at least a little while. I’m not trying to change anyone’s minds. I just wish the general public were given more of the facts to then make their own decision, especially those who do not come from the country and are likely to be unaware about things we take for granted. I’m really glad you posted this, as it’s given me the courage to post something on fox hunting that I wrote the other week, in the midst of all the drama! I feel my views are similar to yours, in that i’m not on either side, but potentially more pro hunt. This seems like a rather odd statement, considering I regularly go hunting, but I hunt because I enjoy the chance to ride on other peoples land, I love the adrenaline and it’s also pretty good to teach younger horses to behave in busy situations! I’m a huge animal lover and the thought of anything being killed isn’t nice, but having grown up in the country, in a family who are heavily involved in fishing, game shooting and deer culls, i’ve had it explained multiple times why it’s necessary. I’ve been living and breathing foxhunting for the past few weeks, after picking it for my final thesis topic back in February, not realising quite how topical it would be right now, so i’ve been doing my research. The thing which bothers me the most is the reaction on social media from people who would otherwise not care. It’s crazy that a topic like this creates such public outrage. As I put in my post, the media are making it out to be an Act which saves lives- when realistically it just provides the choice of gun or dogs. I’m really happy that this gave you the confidence to really express your views! And I really think it is a case of needing more positive information in the public eye. It’s the same problem I find with horse racing! The majority of the media is against it, so it kind of brain washes the general public. Hi, I really enjoyed reading this. I have a lot of the same opinions and have never hunted before. I’m not really a pro hunt person for more than just the fox hunting side of things, I wouldn’t be for the drag hunt either. I used to be in a drag hunt yard and I found that a lot of people didn’t take proper care of their horses, they’d hunt them for hours then they’d be thrown back in the stable, no rug/cooler, covered in sweat and plaits still on, others would leave them in the box for hours while they had a few drinks. I also find that people do dangerous things out hunting, jumping stupid stuff, there’s such a bravado in those groups. The injuries can be horrific to both horse and rider ( I know that injuries happen in other sports too, but I’ve seen a lot more in hunting). A lot of people bring young horses out hunting to get them going more forward, but personally I believe you’re teaching them to do things in a group and then when they’re by themselves they aren’t as brave ( my own opinion). I have a young horse and people always asked me if I was going to hunt him, he’s brave as a lion out XC and out jumping, he has no need for jumping in groups, he’s well capable of doing it by himself. But I liked reading the other side, the other article was interesting, it still wouldn’t make me want to do it. It’s a pity the way the social media is now that you can’t[ have an opinion on these things without being hounded.